The Dental Tourist: 34: PFM=NO, PFZ=NO, PZ=Si! Does that title look Greek to some of you? Well no worries as I'll explain. Now up until appointment #1/trip #2 this last Monday, I had decided on a PFZ restoration. I had weighed the advantages and disadvantages and thought this to be the best treatment plan for me. The disadvantages? 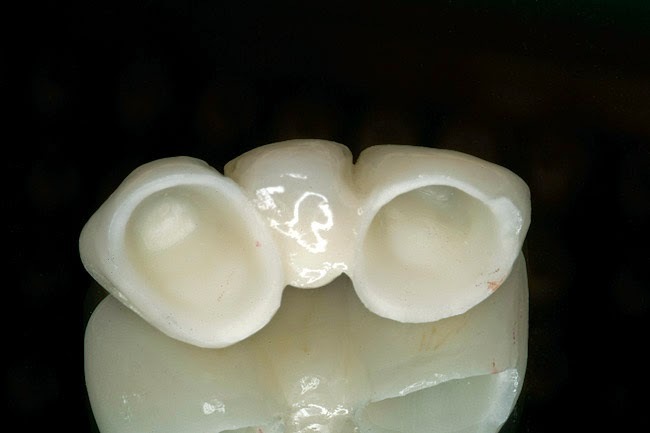 Well there is a thing called delamination in which the porcelain can separate from the zirconia. This, I hear, can usually be avoided if it's a high quality lab making the prosthesis'. But it was still a concern. Also there was still the worry of porcelain chipping over time and since I would have new porcelain upper teeth and original lower teeth, my lower teeth could be worn down over time by the porcelain. Now that picture above is a 8 unit PZ bridge with gum. 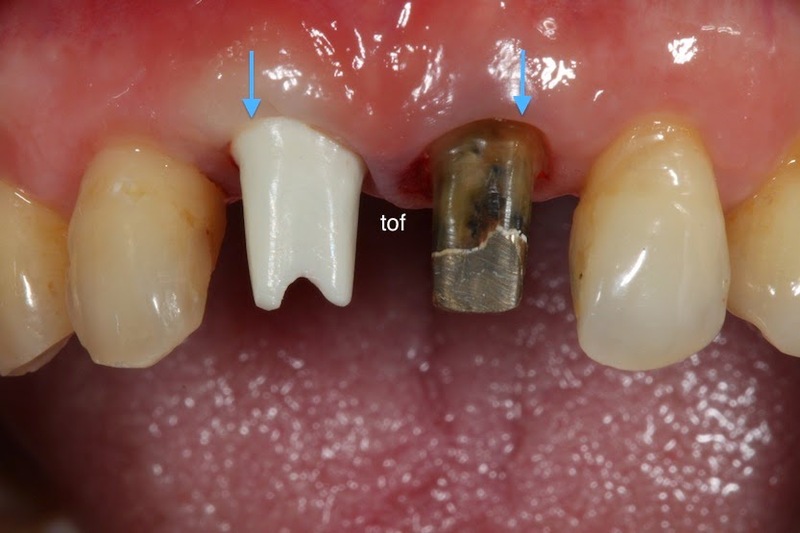 You can clearly see the white zirconia understructure. Beautiful teeth no? Dr. Prada said my bridges will be in at least 3 segments for a total of 10 PZ teeth (I still have 4 original molars in my upper so will be total of 14 upper teeth). 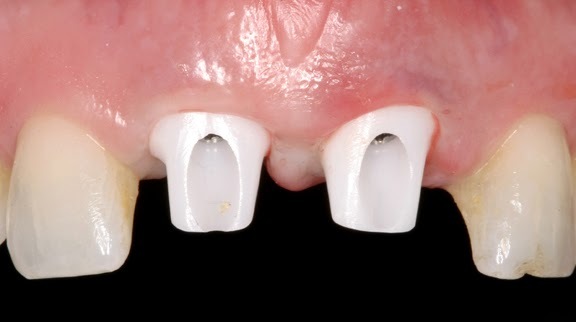 So I would expect the largest bridge to consist of no more than 4 teeth and that would be for my front I believe. I also don't think I need or will have the fake gum. But as I said in my previous post, everytime I think I know what will happen I am usually wrong. Thanks for reading. I must now get ready to head out for appointment #3/trip #2 with Dr. Gonzales. RJ: Good choice. 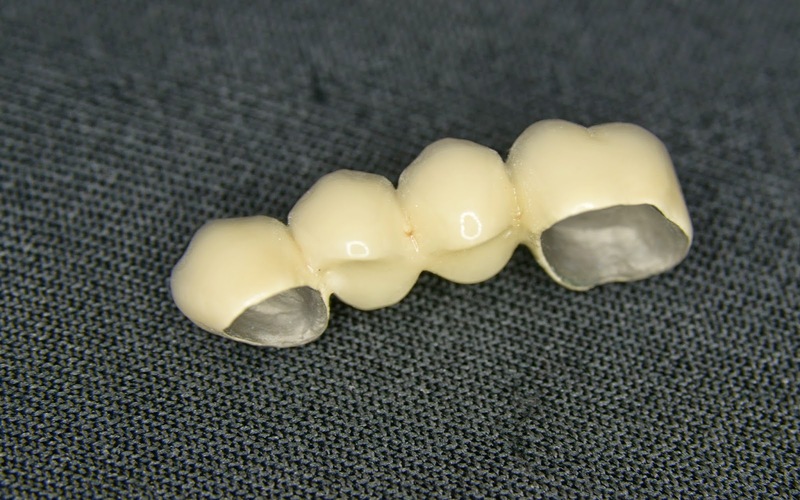 The Zirconia teeth are beautiful! That's what I'll be getting, as well. Excellent! It was really a no brain'er. The concerns I had with porcelain (chipping, delamination and wearing down opposing teeth) are completely erased with the Prettau Zirconia option. 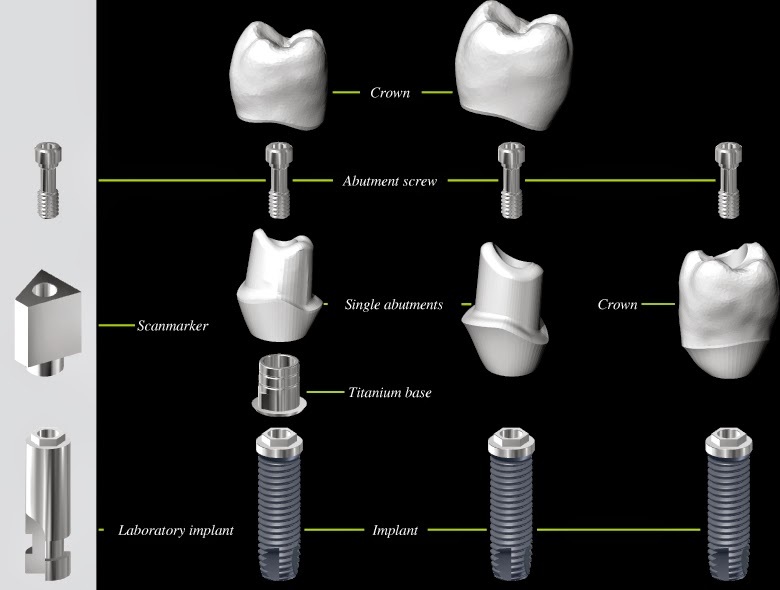 associated with upgrading the bridge material from PFZ to Prettau Zirconia? Prettau Zirconia is a more expensive option when using Lorenzo Favini since he is considered one of the best at making these types of teeth. I'm not sure if it's still more expensive than PFZ if using a different lab to make the Prettau Zirconia. I'm sorry that I can't be more specific. Thank you so much for reading my blog! 32: BACK IN THE SADDLE AGAIN!